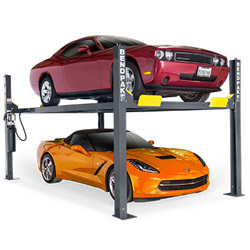 If you’re looking for a lift that is known for being the best in technology and safety, BendPak 4 post car lifts are the way to go. 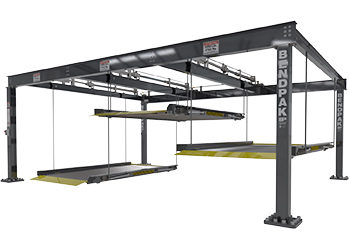 Our selection features various BendPak lifts that can handle anywhere from 7,000 to 18,000 pounds, and are tailored to meet the needs of your shop. Explore our extensive selection! If you’re looking for an affordable option that is known for having unprecedented safety, control, and versatility, this is the best option. They come with easy to use controls, and advanced hydraulic systems that are built to meet the most demanding tasks. These are perfect for mechanic shops that offer a wide variety of services to their customers. 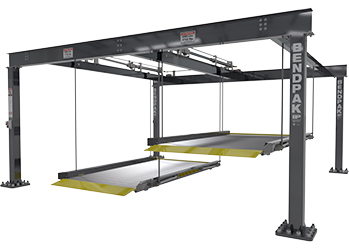 BendPak 4 post car lifts can lift vehicles quickly, safely, and efficiently. They’re made with the very best materials that are combined with smart, innovative construction to operate smoothly for years to come. Whether you’re looking for a smaller lift to service light duty vehicles, or even a wide base style that can fit two cars, we have the variety to meet your needs. 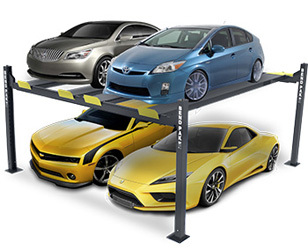 Our BendPak 4 post car lifts come with many innovative features that will be beneficial when working on vehicles. These include safety locks, fully enclosed lifting cables, self-lubricating cable rollers, adjustable lock ladders, user-friendly buttons, as well as many optional features to meet your needs. 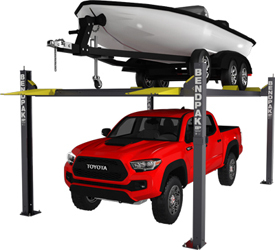 You can depend on BendPak 4 post car lifts to provide every locking position you will need to get any task done in your shop. Improve production levels, employee safety, and overall quality by ordering one from our selection!